Clive Christian is a name that embellishes quality in abundance. In this article I explain how we hand paint Clive Christian kitchens Cheshire. Painting furniture of this quality requires patience and skill also respect as someone has invested a lot of time as well as money in buying it. With all the luxury furniture we paint we have a set routine and after professionally painting this kind of furniture for many years we have honed our skills. The modern paints today differ from the traditional oils as they are waterborne, the benefits of this are no yellowing or changing colour. In addition to this they are a lot tougher than any oil painted finish, but not as easy to work with as they dry so much quicker. The specialist primers we use of today have such a strong bond they provide a perfectly flat base coat for the to top coats. The top coats have various sheen levels to pick from, saying that most people opt for the lesser of the sheen’s Helmi 10. The finish we achieve with this product is flawless. 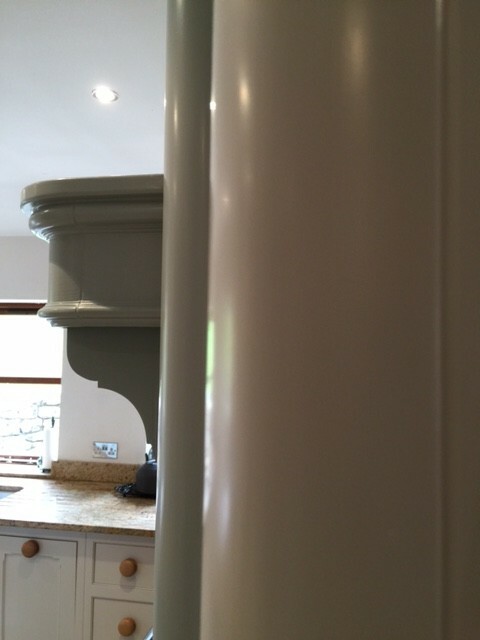 Myself and my kitchen painter colleagues all agree it is hard to better. 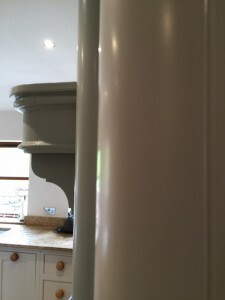 The levals at which we go to to repaint Clive Christian kitchens are as follows. First all the furniture is given a full and thorough clean and degrease before rinsing with clean water. Its allowed to dry then all the worktops are protected with paper. The floors will also be protected before a full but light sand using dustless sanders. We remove all the doors, drawers and anything we can including all the hinges and cabinet hardware. Only after this the primer applied to ensure a good finish. After the primer is dry this calls for another light sanding. Using finer grits to ensure a flawless finish for the two top coats. 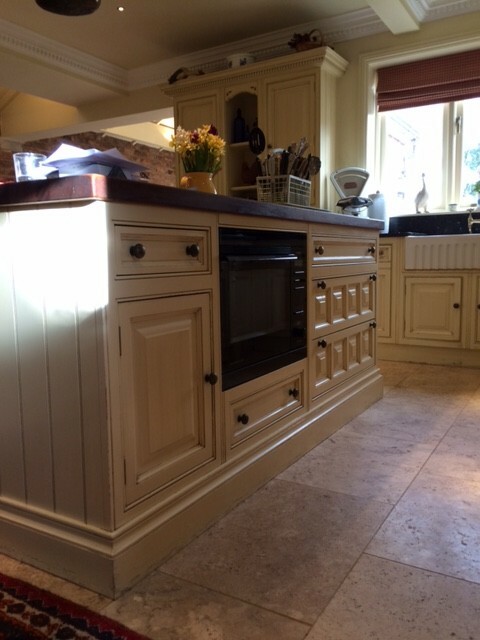 Flat finish kitchens are generally the norm these days. Sometimes two colours for a bit more interest. 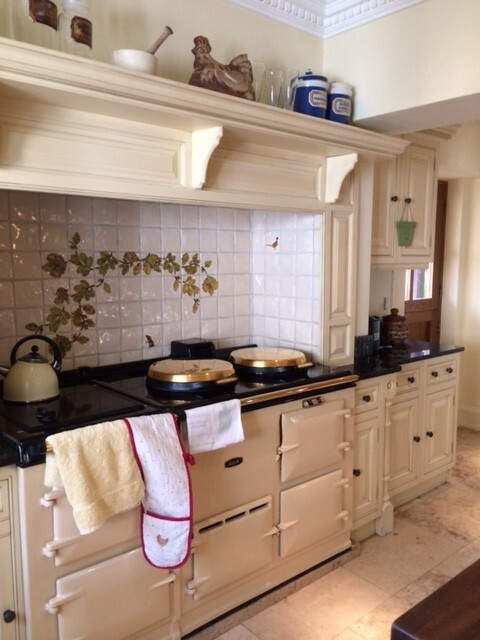 If you have a Clive Christian kitchen or any furniture we can give it that showroom look again. Creating a flawless finish using the latest hybrid paints. You can get in-touch via our contact page . Being a co founder of the HPKUK group. 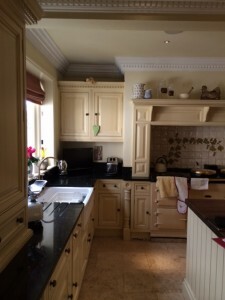 We work along side some of the finest kitchen painters in the UK.